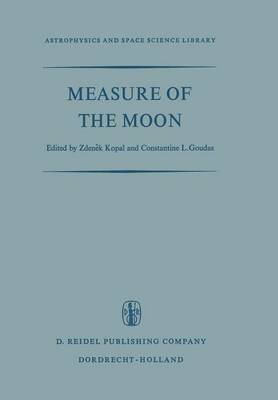 After many decades spent in astronomical semi-obscurity, the Moon has of late suddenly emerged to claim renewed interest on the part of the students of astronomy, as well as of other branches of physical science and technology; and the reasons which brought this about are indeed of historical significance. From time immemorial, astronomy has been debarred from the status of a gen- uine experimental science by the utter remoteness of the objects of its study. With the exception of meteors - those small freaks of cosmic matter intercepted by the Earth on its perpetual journey through space - the properties of all celestial bodies outside the gravitational confines of our planet could be studied only at a distance: namely, from the effect of attraction exerted by their masses; or from the ciphered message of their light brought to us by nimble-footed photons across the intervening gaps of space. A dramatic emergence of long-range rockets in the last decade bids fair to bring about a profound change in this situation. On September 13, 1959 - a memorable date in the history of human endeavour - a man-made missile of Russian origin crash- landed on the surface of the Moon in the region of its Mare Imbrium, and thus ended the age-long separation of the Earth and its only natural satellite which lasted not less than 4t billion years.